Notification of acceptance and information regarding presentations will be forwarded to the authors immediately after the reviewing process by e-mail before the 15th of November 2018. Make sure you do not exceed 2000 characters. If you have any problems with submitting your abstract via the online platform, please use the contact form on the website. Visit Ghent and experience our friendly and upbeat culture, in our walkable city. Ghent is a historic city, yet at the same time a contemporary one. 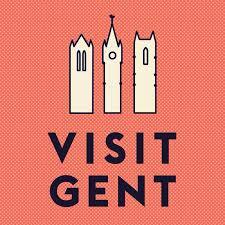 Come early or stay late and enjoy what Ghent has to offer. Admire the newly renovated masterpiece ‘Adoration of the Mystic Lamb‘ in St-Bavo’s Cathedral. Ghent is the first city in Flanders that organized ‘Thursday Veggieday‘ to stimulate people to go meat-free one day a week. Find all the best vegetarian restaurants in the Ghent Veggie Guide.